BMT delivers defence design, programme management and engineering services for Sea, Land, ISTAR and Air. More importantly, we also understand that getting a platform into service is not the only challenge for our customers and that keeping it safe for use, capable and operationally available over many years is also vital. It is here that our substantial experience extends to delivering effective, innovative and technically advanced solutions for supporting and adapting our customers’ military platforms throughout their lifetime to maximise their operational capability. The Bollhoff Group, established in 1877, is one of the world's leading manufacturers and suppliers of fasteners and assembly systems. The family-run company focusses on long-term success, achieved through highly qualified employees, innovative products and customised services. The product range comprises different technologies, e.g. thread reinforcement, riveting, adhesive technology and many more, which are exclusively manufactured at Bollhoff production facilities. They are subject to stringent quality checks in every single production step. 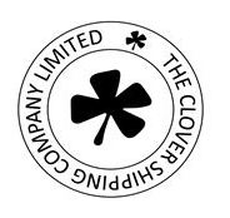 The company has always applied the highest levels to fully comply with relevant standards and is dedicated to the principle of maintaining quality, safety and environmental integrity. Bollhoff is represented by own distribution facilities and production sites in 24 countries on all continents. Also based in Coventry, Colledge & Morley is a globally respected manufacturer of precision gears, splines and spline shafts for the F1 industry as well as for the aerospace, defence, printing, medical, machine tool and instrumentation markets. Spurs, helical gears, bevel gears and worms/wormwheels can be engineered to the precision sizes required by customers. In addition, Colledge and Morley also provides design solutions, advises customers on gear design solutions, advises customers on gear design issues, materials and treatments, and works with them to optimise power transmission delivery and minimise wear and noise.